The brainchild of Sydney sisters, Elizabeth and Shen-Tel Lee, Bowerhaus jewellery is as individual as it is fascinating. Named in honour of the Australian bowerbird – known for its odd nests built from objects gathered from all manner of strange places – Bowerhaus jewellery is full of eclectic, chic style. Add a touch of elegance to any outfit with these new Keishi 2.0 Earrings. Continuing on from Bowerhaus’ initial Keishi collection, each of these earrings are adorned with stunning Keishi freshwater pearls, each one encrusted within an intricate crystal pave. Crafted from freshwater Keishi pearls and rhodium-plated metal. 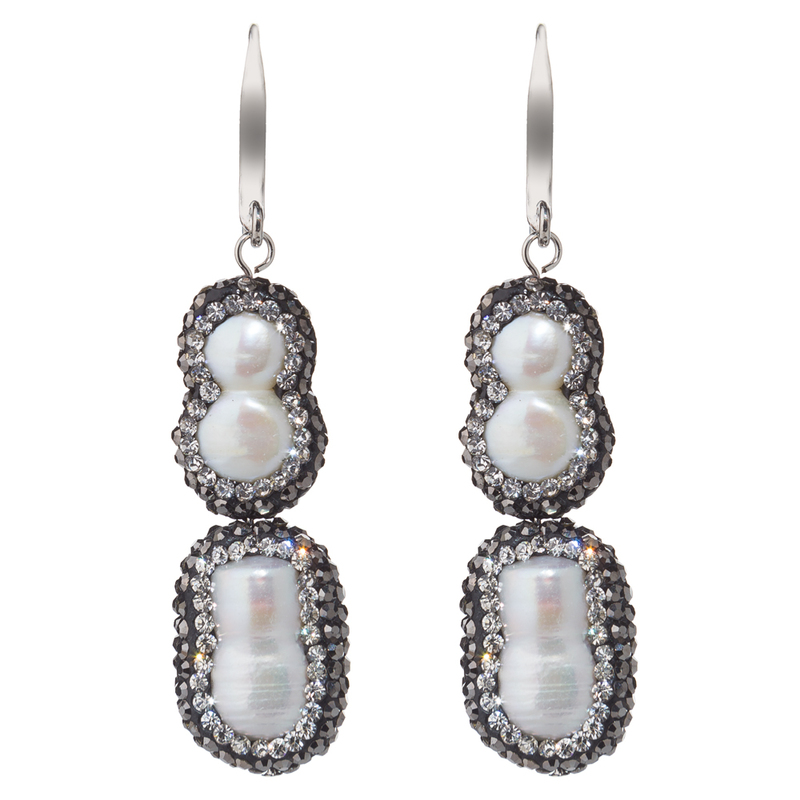 Each pearl is encrusted with a black and white crystal pave.